Today in Masonic History Nicolas Chamfort is born in 1741. Nicolas Chamfort was a French writer and satirist. Chamfort was born on April 6th, 1741 in Clermont-Ferrand, France as Sébastien-Roch Nicolas. There is some level of confusion about the date of his birth, the April 6th, date comes from a birth certificate on record in the town stating the name of his parents. In June of that same year another birth certificate was filed, this one stating that his parents were "unknown." As a young man he traveled to Paris where he received a scholarship to Collège des Grassins. It was at the college that one of his more contemptuous quotes came about "What I learned I no longer know; the little I still know, I guessed." When the principal of the college offered him a benefice he replied "I prefer honor, not honors." Around the time he left college is when he adopted the name Chamfort. After leaving school, Chamfort survived by becoming a hack writer, someone who wrote quick books or other materials on order. He also began to gain attention in social circles, at least one person describing him as "Hercules in the figure of Adonis." This referring to his looks and his physical strength. He had the opportunity to travel to Germany with a Belgian minister who had met. On his return trip in 1764 he produced his first successful comedy La Jeune Indienne. Around that same time he received an award from the French Academy, an organization dedicated to matters involving the French language, an award for his Eloge on Molière. Up until 1775 Chamfort largely survived on a kindness of friends and occasionally patrons of his work. Between 1764 and 1775 he did produce other works. In 1775 he met a member of the French Court, who introduced him at court. In 1776 he put on his tragedy Mustapha et Zeangir for Louis XVI and Marie Antoinette. The King was impressed and gave him a pension of 1200 livres. Chamfort did not like the constraints of court and did not stay very long. Until 1791, Chamfort went back to the court acting as the personal secretary of various members of court, including the King's sister. When the French Revolution came about, Chamfort found his passion. He joined the Society of the Friends of the Constitution, more commonly known as the Jacobin Club. He seemed to forget all about his ties at court and threw himself into the idea of revolution. He was actually one of the first people to enter the Bastille when it was stormed on August 3rd, 1791. Chamfort was technically a republican and shortly after the beginning of the revolution he became disillusioned with the uncompromising Republicanism of the time. During the reign Robespierre he fell out of favor with the Jacobins. Chamfort was unable to control his tongue during that time and ended up being arrested by the people that he once supported. After spending some time prison des Madelonnettes, he was released and almost immediately threatened with arrest again. Deciding that he would not put back in prison, Chamfort decided that suicide was the answer. In September of 1793 he locked himself in his office and shot himself in the face. The gun misfired, although he the bullet did go through his jaw and face, he was still alive. He attempted to stab himself in the neck several times, missing arteries each time. Eventually he stabbed himself in the chest. In his own blood he wrote "I, Sebastien-Roch Nicolas Chamfort, declare that I wished to die a free man rather than be enslaved in a house of detention." The statement was directed at those who would come to arrest him again. It was his butler though that found him, still alive and in a puddle of his own blood. Chamfort survived for many months after his suicide attempt. 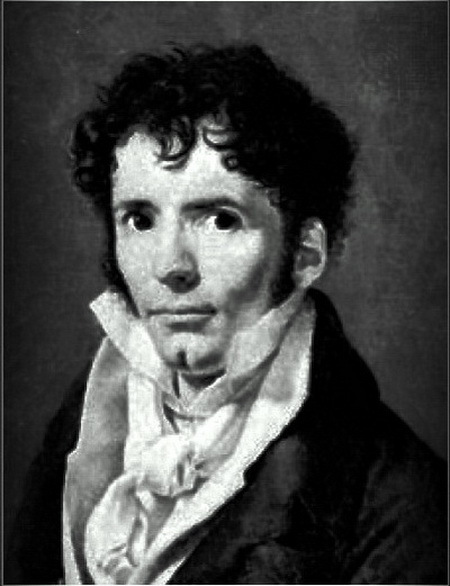 He was friends with the French political writer Abbé Sieyès. Sieyès used one of Chamfort's quotes as the title of a pamphlet he wrote, the “What is the Third Estate? They are everything. And what have they? Nothing." The pamphlet referring to the Third Estate, the people of France, was written in response to a request at the time for writers to provide a vision of what the Estates-General should look like. It was to Sieyès that Chamfort gave one of his final quotes "My friend, I'm finally taking leave of this earth, a place where one's heart must either break or be hard as bronze." Chamfort passed away on April 13th, 1794. Chamfort was a member of Les Neuf Sœurs (Lodge of the Nine Sisters).